The "Education" campaign - completed! Natura 2000 area - what is it? poisoning of birds and its consequences for the environment. What can I do to prevent this? What should I do if I find an injured/dead/poisoned bird? The responses confirmed our belief that in this age of smartphones, computers and the Internet, young people do not discern and do not appreciate the beauty of nature, which is often at their fingertips. 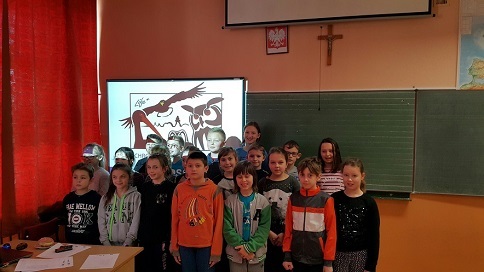 The enormous number of messages that children receive through information portals or social media means that even the most interesting and engaging of events concerning the world of nature can be lost among a mass of totally irrelevant information. 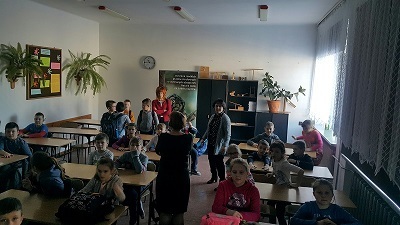 Therefore, it is important to reach out to local communities based on methods like direct contact, such as by organizing activities in schools. 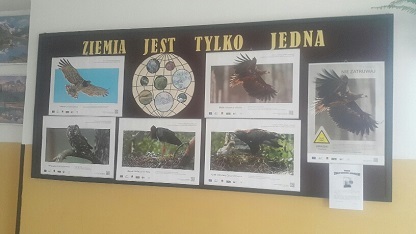 Multimedia presentations, enriched with great photos, the sounds of birds and videos showing their interesting behaviour in the natural environment, combined with the passion of the speaker and promotional materials, certainly help the people participating in these activities to become more aware of the beauty of nature and of the risks posed for it by human activities. Listed below is a selection of the most interesting answers to the questions asked during the surveys, which while showing the deficiencies in knowledge also demonstrate the validity of conducting such educational activities. - the opportunity to learn so much about birds living locally. - the chicks of the Eurasian eagle-owl are white and shaggy. - mature lesser spotted eagles can adopt a foreign chick.